Dominos is offering 20% discount on Pizza, Breads, Pasta, cakes and more. You can download my spreadsheet and plan your party pizza bill. This will automatically calculate the 20% discount and 12.5% VAT for you. 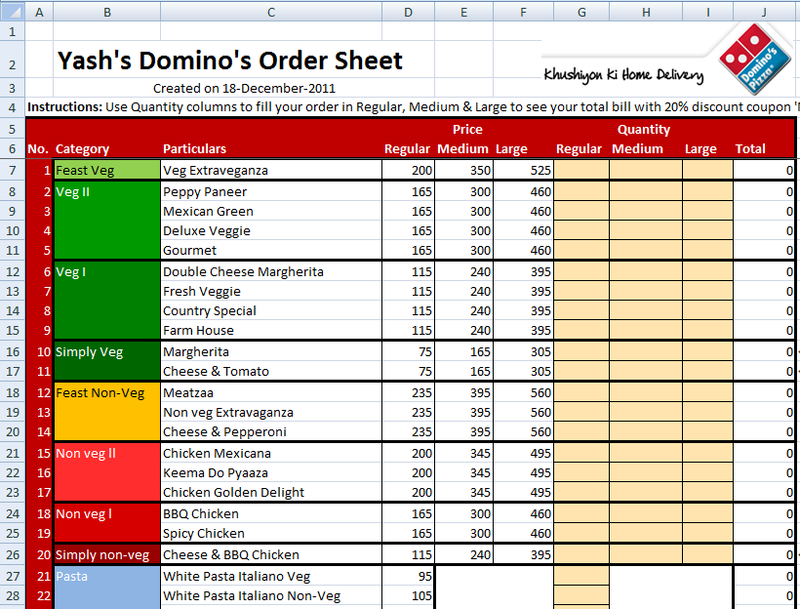 Prices of all the Domino Veg and Non Veg Pizzas, Breads, Pastas and Beverages are already added to this spreadsheet. You can easily estimate your party cost in few seconds and place order online. Notice: Veg and Non Veg combos and toppings are excluded in this sheet.